Bangladesh Petroleum Corporation Job Circular has been published. Bangladesh Petroleum Corporation Job Circular 2017 has been published dated on 27 April 2017 Asking application from Bangladeshi People. 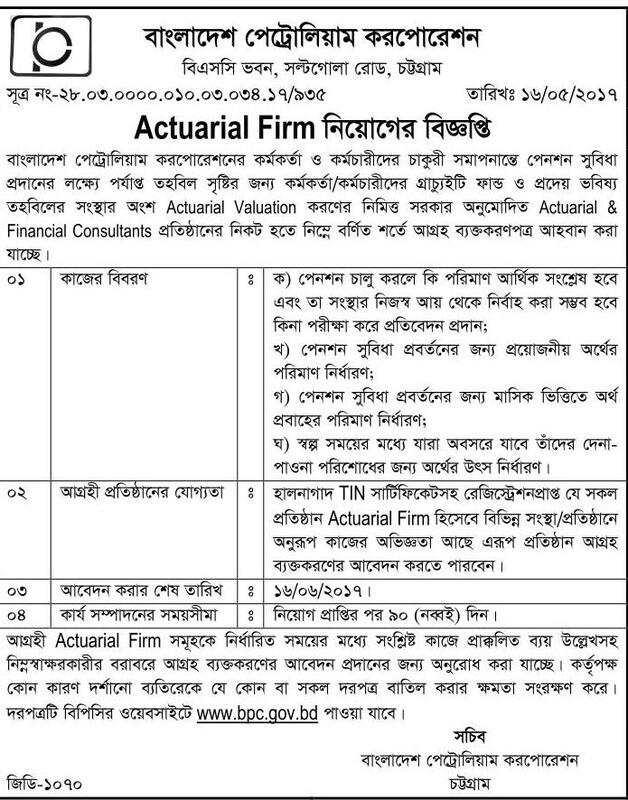 Bangladesh Petroleum Corporation job is the best Govt job in Bangladesh. Bangladesh Petroleum Corporation 2017 Related all information will be found in my personal website below.